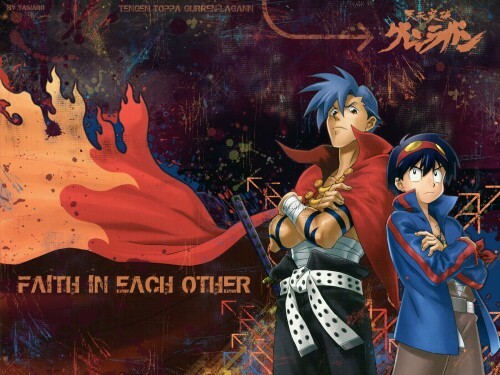 Here is wall from Tengen Toppa Gurren-Lagann.. Hope you have seen it) Its first wall i've made from this one.. two boys like brothers.. and their powerful faith. 40 min spent in Photoshop cs3 or maybe 30 min..
"Believe in the me that believes in you" xD I love that quote so much. Cool! I LIKE THIS WALLY!